At OneDesk, we believe that listening to your customers and showing them that you care about their needs are the keys to providing a stellar customer experience and driving your business to success. One best ways to do this is by allowing your customer base to come together and discuss ideas amongst themselves; this provides your company with strong customer community advice which often leads to innovative ideas. 1. Make sure your customer portal is activated. Simply go to Administration (1), and ensure that there is a check mark next to Activate Customer Feedback Application (2). Allow customers to submit feedback (3). If you want to receive community advice, this box has to be checked! 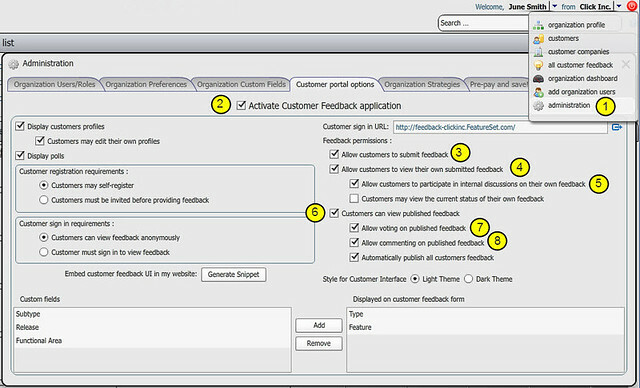 This allows customers to see what they wrote and remember, so that they don’t submit the same feedback in the future. 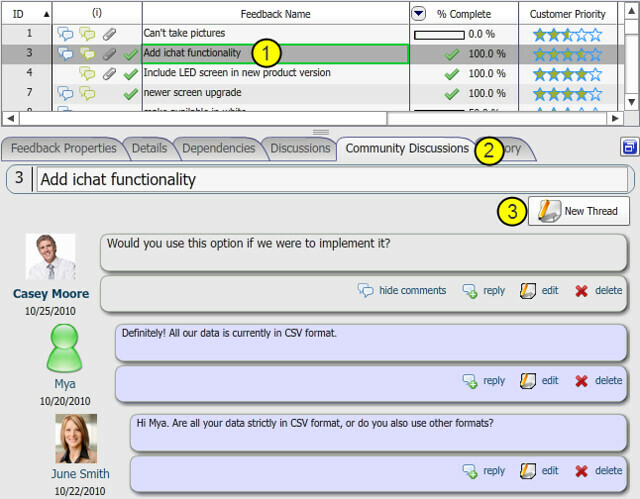 This allows you and your team to engage with the customer who submitted feedback. It is especially useful in clarifying details and ensuring that your entire team is clear on what the customer wants. If customers can view feedback submitted by other customers, it will eliminate duplicate feedback, and enhance the customer’s idea and the community’s advice. This allows the customer community to interact with each other and let your company know which ideas they like best. 3. When feedback is received, start a community discussion. Select the feedback (1), go to the community discussions tab (2), click on New Thread (3), and start a conversation. The whole customer community will be able to join the conversation through the customer portal, discuss the feedback, and provide your company with insightful community advice.